DIRE DAWA, EASTERN ETHIOPIA — When drought and food shortages hit, it is the very young who suffer first, and most. 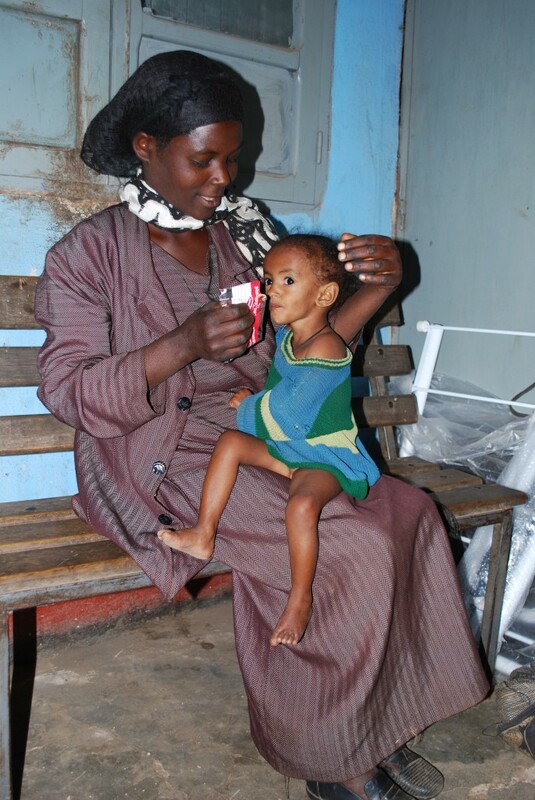 Weighing only 4.5 kg, Ayaan is among the almost 100,000 children whose lives are at risk across Ethiopia. Just four days before her first birthday, she weighs no more than an average 3 month old baby. This clinic, about 15 miles outside Ethiopia’s second city Dire Dawa, is seeing an increasing amount of such cases over recent weeks. Here land is used to grow the cash-crop narcotic known as khat. In over a dozen villages on the northbound road out of the city, groups of mainly young men, but also some women, were seen getting high in the shade on the chewed leaves. Khat is an appetite-suppressant, and local culture means that children often only eat after adults. And that means “if parents are on khat, the whole family goes hungry,” according to a doctor at the clinic. Khat is not just for local consumption, it is a lucrative revenue source for an economy best-known for its high-grade coffee exports. Rising food and energy prices mean that not only people across the country are being squeezed. Agencies – including Ireland’s GOAL, which is ramping up operations to try meet needs – are struggling with rising input costs. Not only are food prices and basic staples more expensive – in some cases double the price from June 2007 – energy prices have skyrocketed, eating into aid budgets. Rising oil prices have part-prompted the Ethiopian government to embark on a biofuels project, despite ongoing global debate that diverting cropland for alternative energy has contributed to global food price rises by narrowing supply. 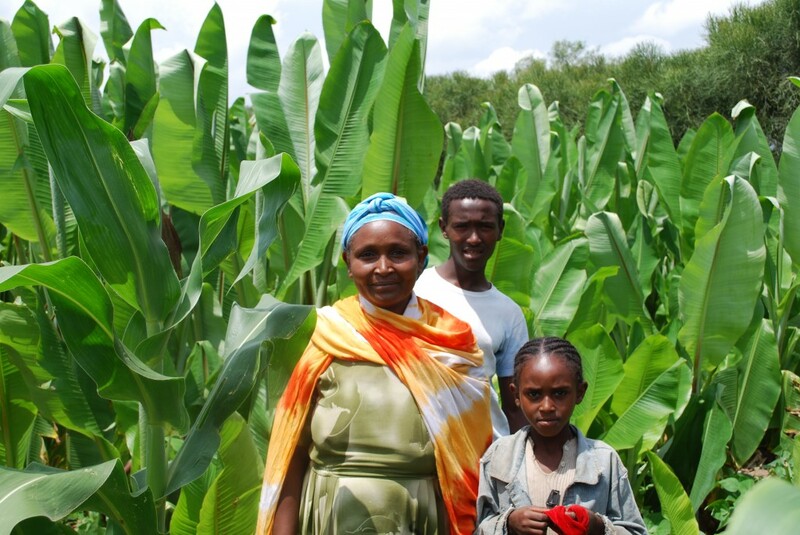 “There is no shortage of agriculture land in Ethiopia for food production,” Melis Teka, coordinator of biofuel development in the Ministry of Mines and Energy, told Reuters. “As the country accelerates its economic development, the demand for petroleum is anticipated to increase,” Melis said. Last week a World Bank report outlined how biofuels may contribute up to 75% of the recent global spike in food prices, which have caused riots across dozens of countries. In Ethiopia, the series of droughts has added 4 million people to the those needing emergency assistance across Ethiopia. With children most at risk, the first in a series of UNICEF airlifts of a ready-to-use therapeutic baby-food called Plumpynut arrived on June 30. According to The Lancet medical journal, a child with severe acute malnutrition faces a 9-10 fold risk of dying unless properly treated with therapeutic foods. Last year Ethiopia, which has its own calendar, celebrated its second millennium. Donor countries have praised various economic reforms that have contributed to 7-10% growth rates in recent years in what is a Western ally. However criticism of the Zenawi government has mounted, with human rights organisations angered at its counter-insurgency tactics in the Somali-speaking Ogaden region, where it is alleged that food aid is being withheld deliberately from regions where rebels are hiding. The allegations are reminiscent of the build-up to Ethiopia’s devastating 1984 famine, given how the ruling Marxist Derg regime of the day withheld food from rebel held-areas where the famine hit hardest — as much a cause of that famine as any drought or crop failure. Those insurgents went on to depose the Derg in 1991, and now make up the core of the Ethiopian government. But to paraphrase Samuel Johnson, people need reminding more than they need new instruction, and there can be few more poignant reminders than Ayaan.